Warehouse managers are all too familiar with the fact that picking operations for order fulfillment systems have a huge impact on inventory costs. Whendesigning your picking strategies, it is critical to have a clear definition of your objectives, product characteristics and resources available. So should your operators go to the products, or should the products come to your operators? Here we provide you with some essential facts about common picking methods and how they work. Man-to-goods solutions: I’ll go to you! As the name implies, in this order fulfillment system operators must move around the warehouse to the location of each desired unit requiring preparation. Basic units composed of vertical posts and shelves which allow for direct access to boxes and loose items. Typically don’t exceed 8 feet in height, however it is possible to increase vertical storage by creating multiple levels which can be accessed by aisles and staircases. Versatile designs permit them to be adapted to various storage environments and types of inventory. Very similar to traditional units discussed above and share the same advantages of versatility, however these systems can be larger and are capable of holding additional weight. Their height can exceed 40 feet and they are commonly used with high level pickers. Allow for increased storage capacity. Mobile bases move along guides installed directly in the floor. Are suitable for low and high level pickers. Allow for direct access to each pallet. Their versatility makes them adaptable to any product size or weight. Keep in mind that emptied pallets must be replaced by others stored in reserve. Ideal when managing small and medium sized items that have a high rotation. Units are composed of sloped platforms fitted with wheel tracks that allow goods to automatically slide down for picking under the force of gravity. Ergonomic designs facilitate access and removal of products and significantly decrease order preparation times. Extremely versatile with multiple configurations possible and can also be used in combination with other systems. With the implementation of the “pick to light” system, multiple orders may be prepared simultaneously and picking errors greatly reduced. Goods-to-man solutions: You come to me! With this order fulfillment system, operators remain at a picking post and a machine brings the desired goods to them. Fully automated cranes move along rails to efficiently transport pallets between conveyors and their assigned storage locations. Allow for maximum usage of ceiling height clearances while simultaneously reducing aisle width requirements. Systems can be customized based on the storage and picking requirements of different projects. Fully compatible with pallets of any size. Ideal racking for boxes and small containers holding loose products. 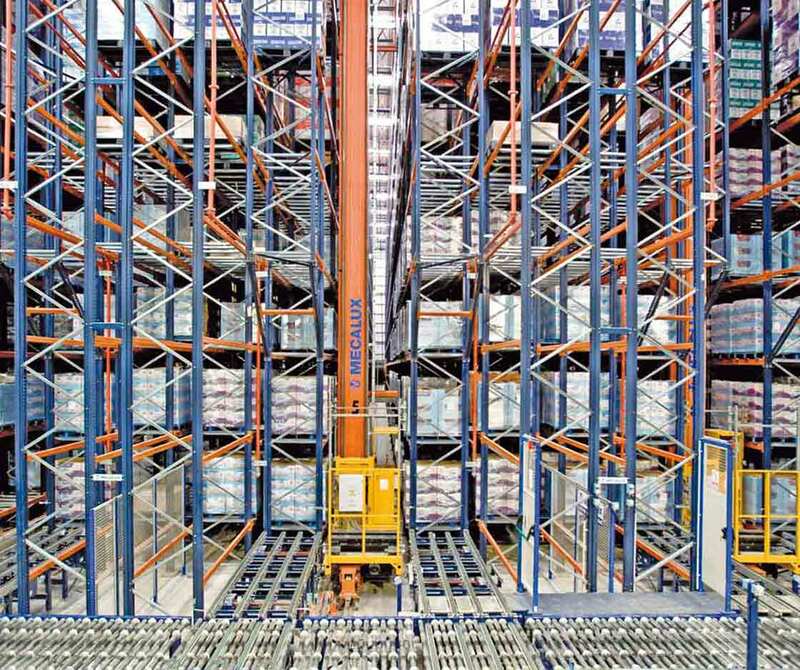 Allows for efficient use of vertical and horizontal space and minimal aisle widths due to operating with stacker cranes. System can be easily dismantled, reassembled and expanded. The number of cycles required in the facility determines whether a medium, high or very high performance system is needed. Highly versatile with a wide range of design options which adapt to your warehouse layout. Significantly reduce product handling times while increasing accessibility to inventory. Mechanical and optical product presence-detection systems ensure accurate control of goods. Don’t feel pressured to have to choose between one order fulfillment system or the other. 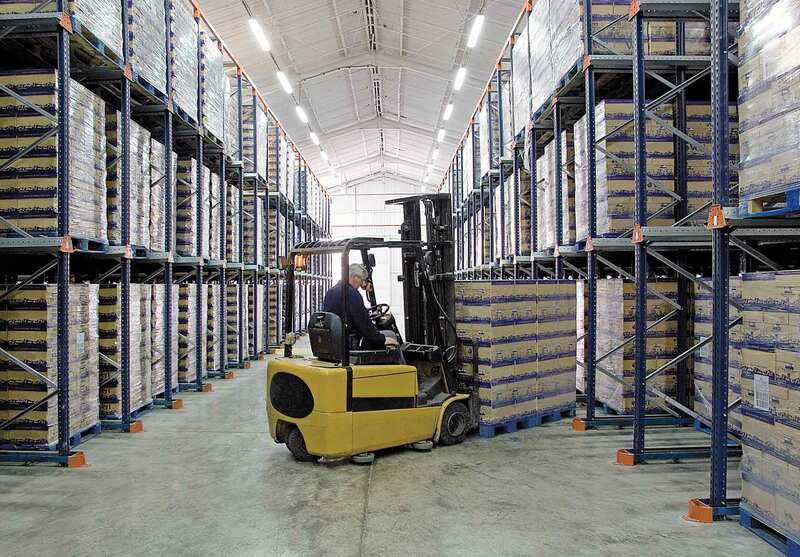 Many facilities incorporate mixed systems with a combination of multiple operating strategies that they’ve determined to be appropriate for their particular inventory type. Whether investing in man to goods, goods to man, or a unique balance of both, the key is to identify the most cost effective and efficient solutions for your facility and its needs.